Medical work shoes must provide certain benefits. Nurses, transport specialists and doctors cover ample ground, daily, in order to treat and care for patients. For this reason, the work shoes should be given special attention. Of course, the choice of the proper work shoes must be influenced by the individual work area as well as the needs of the feet. 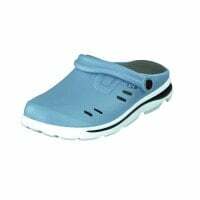 Dependin on the health of the feet, if they have misalignments or other ailments, relevant factors must be considered when buying nursing shoes or medical safety shoes. If one has feet misalignments, e.g., skew foot, fallen arches or splayfoot, it is especially important to ensure that the nursing shoes have high-quality, anatomically-shaped insoles. 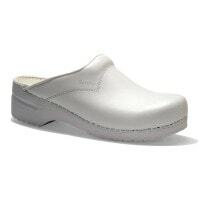 If orthopaedic insoles are already present in the nursing shoes, then they should most certainly be replaceable. If the wearer has a foot ailment, such as a fungus, then it is important to choose nursing shoes that are brethable and direct moisture away from the feet. In nursing professions (including nursing homes and mobile transport specialists), the choice of the proper shoes is very important. 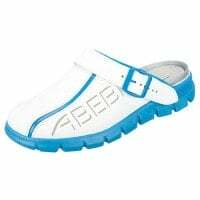 The heavy stress undertaken by the feet from predominantly standing and walking activities as well as the stress from lifting and repositioning patients represents enormous requirements for the footwear; therefore, nursing shoes should be carefully selected. 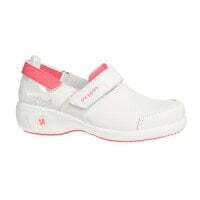 At Praxisdienst, you will find a wide selection of high-quality nursing shoes from name brands such as Abeba, Berkemann, AWC or OXYPAS. When buying nursing shoes, one can make many mistakes. 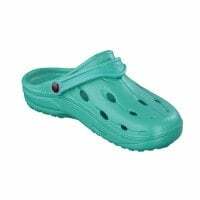 We explain to you the things you should note when you would like to order a new pair of nursing shoes or safety shoes for medical use. It sounds obvious, but many people do not actually buy the right size of shoes. Before you order your new nursing shoes, you should measure your feet to ensure your shoe size has not changed; yes, this happens. Feet misalignments or weight loss or gain can cause an adult's shoe size to change. Wearing the wrong size of nursing shoes or safety shoes can negatively impact the foot as well as lead to other ailments. 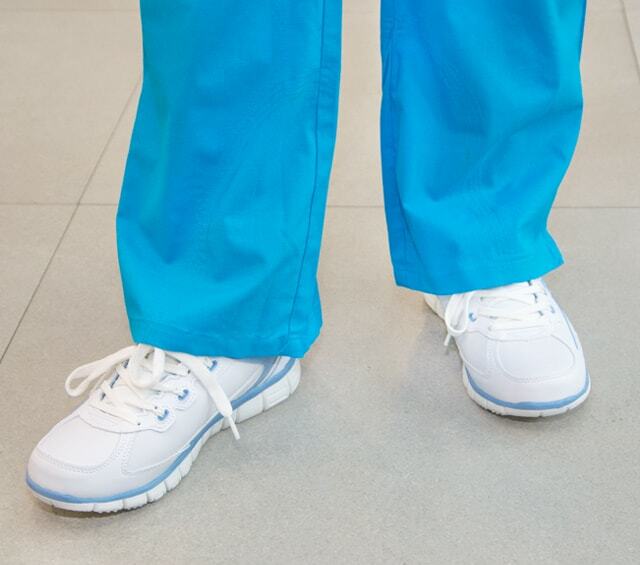 Shoes that are too small: when wearing nursing shoes that are too small, the feet do not have enough space to stretch out. This is particularly fatal for the toes and is often concurrent with pressure points, blisters and abrasions. This can even lead to a change in walking style and, in a worst case scenarios, influence the static equilibrium of the body, often leading to back issues. 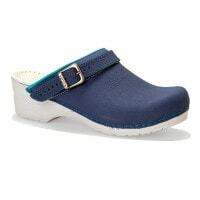 Shoes that are too big: when wearing nursing shoes that are too, the feet do not have enough stability. The feet "swim" in their respective shoes and are not secured nor supported. In this scenario, the wrong shoe size also often leads to a perceivable change in a person's gait. 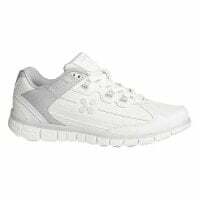 Furthermore, shoes that are too wide often case a change in the body's static equilibrium, resulting in back pains. 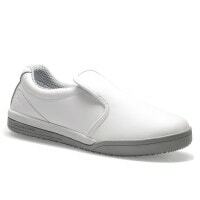 Nursing shoes without an insole should only be worn by nurses, doctors and other medical professionals who do not suffer from foot misalignment or whose feet do not undergo heavy stress throughout the workday. For everyone who has splayfoot or something simliar, it is sensible to wear work shoes with anatomical insoles. 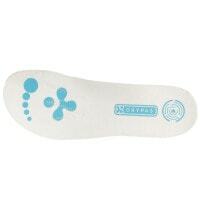 The insole assures the pressure is equally distributed throughout the foot and that the foot can properly roll. Should a person with a foot misalignment not wear shoes with an insole or an orthopaedic insole, then they could end up with foot pains, symptoms of overexertion, changes in bodily static equilibrium and back pains. Sweat build-up is especially common in summer or on days with more bodily exertion than usual. In order to assure the moisture does not congest in the shoe, it is important to select nursing shoes that are breathable, that direct moisture out and air into the shoes. Moisture build-up in the warm, congested environment provides the optimal requirements for germ propagation and a foot fungus can arise. However, it is also possible that the germs from the medical environment can excessively propagate and be carried out of the hospital or surgery on the socks or skin of the wearer. The medical working environments differentiate greatly. Depending upon whether or not a doctor works in the operating theatre, emergency unit or in a general practice, he requires a completely different set of work clothes; medical shoes, included. Generally, the insole and the outer sole's condition should both be regularly monitored in order to recognise wear early enough to replace the shoes once they no longer fulfil the personal or work requirements. Slip resistance plays a big roll, especially when it comes to the operating theatre, hospital and nursing homes. In these areas, the often is often contaminated with blood, urine and other bodily fluids which increases the risk of slipping. 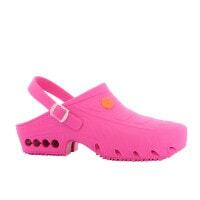 Therefore, surgical shoes, nursing shoes and other medical shoes should offer sufficient slip resistance. One differentiates between the slip resistance codes SRA, SRB and SRC. The test procedure from EN ISO 13287: 2007 determines on which floors the slip resistance of shoes were tested. SRA means that the shoes were tested on ceramic tile that was made wet by cleaner and SRB means that the shoes were tested on steel floors with glycerol. 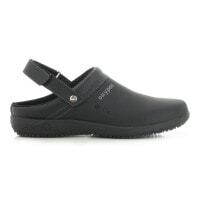 Medical shoes with the SRC distinction passed both of the previous tests. In order to eliminate the risk of electrostatic discharge (ESD), there are special ESD safety shoes available. 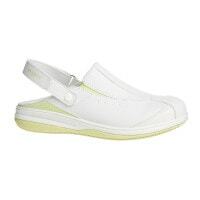 When working with sensitive medical devices, or in the operating theatre, it is a requirement to wear ESD shoes. The antistatic outer soles prevent an electrostatic discharge from the safety shoes, e.g., when walking over synthetic or carpet flooring, as well as the occurrence of an electric spark. 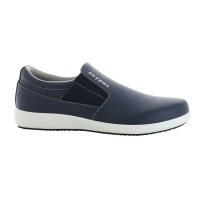 Safety shoes are work shoes that protect the user's feet from mechanical stress. For this purpose, the toe area is reinforced with a plastic or steel cap which has a 200 joule resilience. 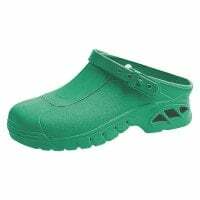 Safety shoes are required in many various disciplines, e.g., in emergency medical services. For example, they protect the wearer from falling objects and rolling castors, wheels or tyres. 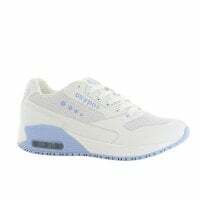 Generally, one should be sure to purchase quality medical shoes from renowned manufacturers because the better the shoes are crafted, the longer their life expectency. 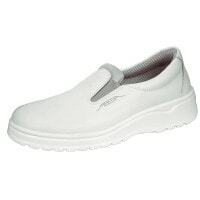 One should go for closed work shoes in all areas where patient safety is dependent upon his or herself. The more stability the shoes provide the wearer, the better the hold and the higher the safety is for the patients; especially when it comes to lifting, supporting or repositioning patients. 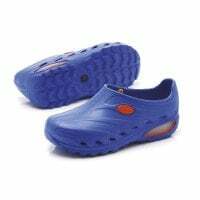 In these categories, we offer you a comprehensive assortment of shoes for medical professionals, e.g., nursing shoes, safety shoes for medical transport specialists or other work shoes for medical employees; all at affordable prices. 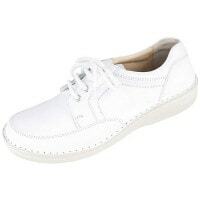 With us, you will find high-quality women's and men's shoes in classic white and with modern colour accents, colourful clogs and nursing clogs with print motifs in a comprehensive range of sizes. 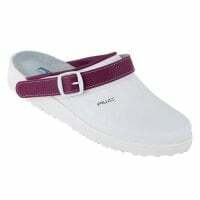 Should you have questionsa bout our nursing shoes or safety shoes, feel free to contact our customer service. We can be reached by email, chat or telephone.